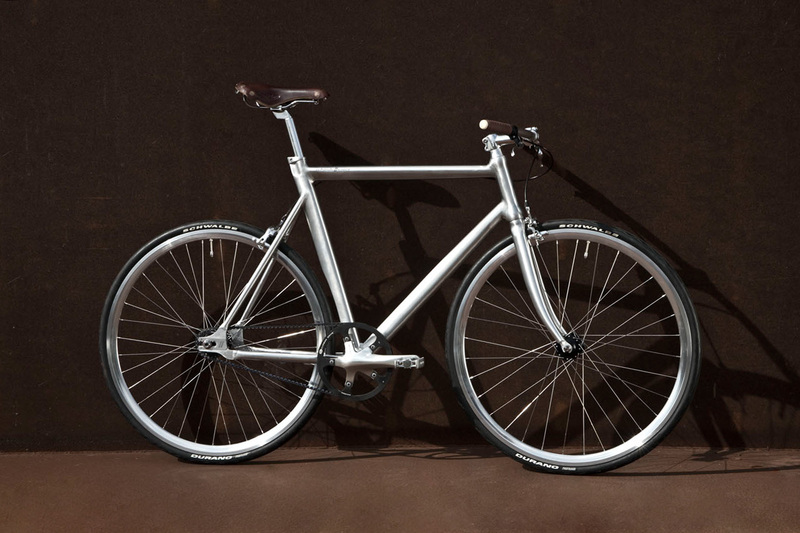 When we premiered our first Siegfried model at Eurobike 2009, the Alu Pure look caused a lot of attention. 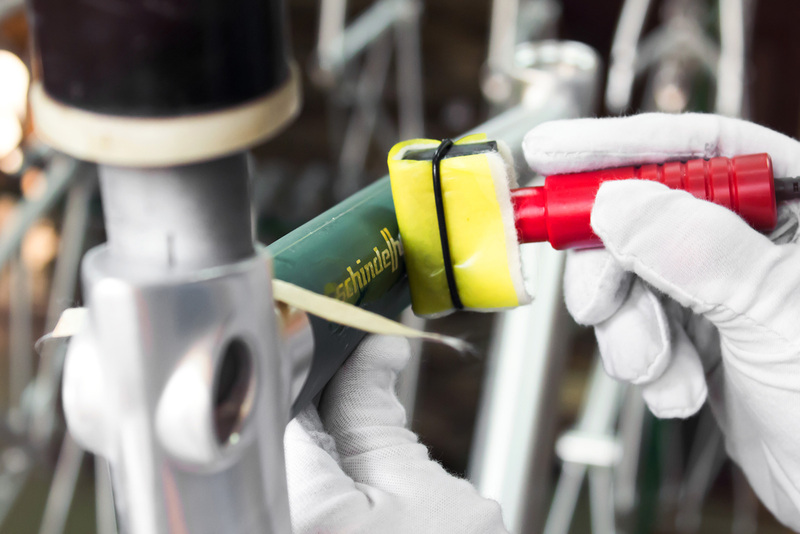 At this point not many bike brands chose to leave their aluminium frames untreated – without any paintjob. Alu Pure is our most popular colour, which is not a colour at all, as we do not use a clear varnish and leave the aluminium frame as it us. 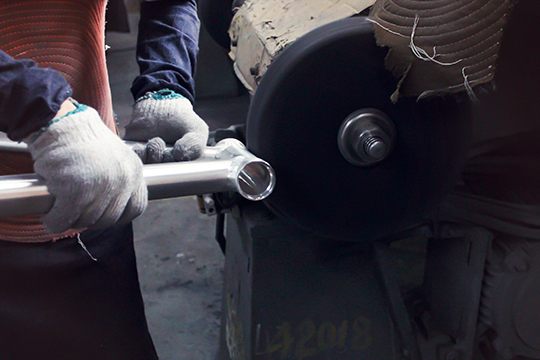 During production, the welding seams are being smoothed by hand and all scratches polished out. After this, any unevenness is removed in a special grinding process. 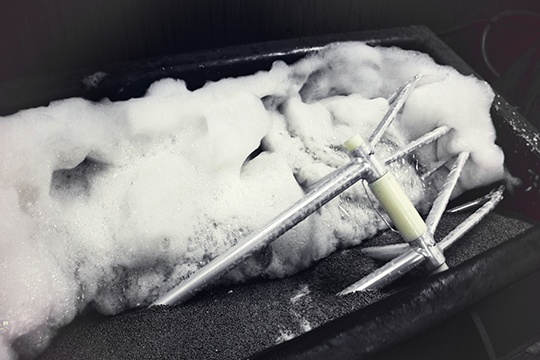 The final brushing causes the typical Schindelhauer Alu Pure finish. As a last step the Schindelhauer logo is chemically etched onto the frame. The aluminium alloy used by us (AL6061-T6) is weather-resistant and has the natural property to oxidize, which means that the frame changes into a darker colour. This can be undone using a grinding fleece with a grain size of 240 for smaller spots, and 400 for larger areas. The Schindelhauer logo should be left out. 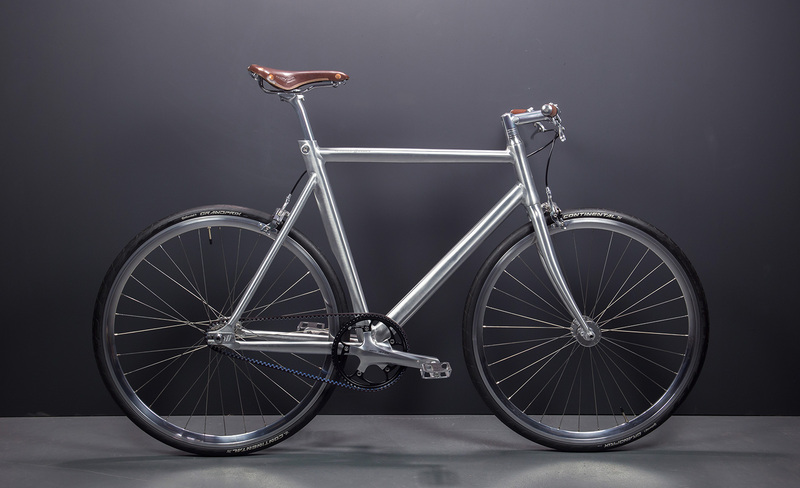 But many customers like the special patina of the Schindelhauer frame in Alu Pure, it gives the bike a special character.